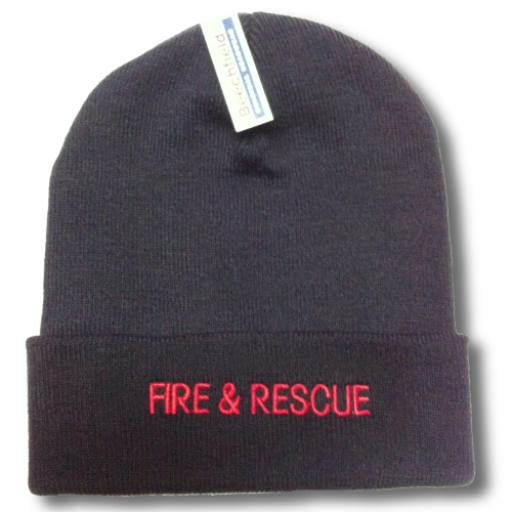 Beechfield brand polyester knitted hat with FIRE & RESCUE embroidered on the turn-up. Available in a selection of colours. Can be personalised on the rear.